A Puzzle from Hell - Two Lucky Winners will get 5 SBD each! Update: There are currently only 2 additional correct answers (from improv & troilo) vying for the second 5 SBD awarded randomly tomorrow AM. blackswith12 won the first 5 SBD! Hint 3: Yes, the first two hints *were* rather pointed . . . .
DO NOT SPOIL THIS IN THE COMMENTS! MESSAGE ME DIRECTLY ON STEEMIT.CHAT (ethical-ai) TO ENTER. Explain how the below is possible. Whenever a significant amount of time passes without a correct answer, I will add a clue. The first correct answer will earn 5 SBD. Since I don't believe that prizes should always be won by individuals who are able to be on Steemit nearly 24/7 --> Twenty-four hours after the first correct answer, a second correct answer will be chosen randomly for the second 5 SBD. If there is no second correct answer after 24 hours, the second 5 SBD will go to the next correct answer to arrive. 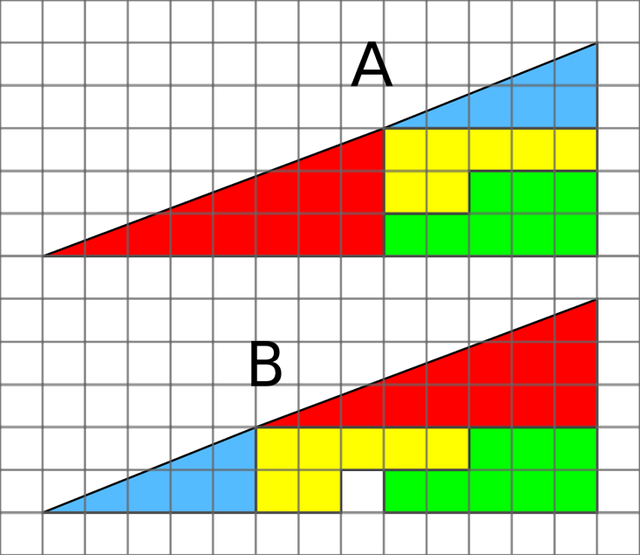 This puzzle is also the first challenge in TING/TGL so it is worth solving even after the prizes have been awarded. Also, we are supporting the effort to clarify the taxes that the vast majority of us (from most countries) will owe from participating in Steemit (Yes! If you get rewards, you probably will owe taxes this year EVEN IF you don't cash them in). Please see Mark Waser's post Calculating Steem Taxes for further details. This post received a 22% upvote from @randowhale thanks to @mark-waser! For more information, click here! Thanks @ethical-ai , Your Awesome ! @lordtricky - In the US, either you pay the tax the IRS believes you owe or you go to jail once they realize that you are refusing to pay. Good luck if you believe anything else . . . . I have no idea how British taxes work -- but don't you have the same problem (situation ;-) in the UK? Thanks to ethical-ai for the entertainment! FYI, the chat isn't loading in my browser for some reason, but I got the message from @ethical-ai to my email. Yes, I'm happy to split. My apologies for the delay gentlemen. I didn't see this until just now. I have posted 2.5 SBD to each of your accounts! Thanks for playing! I do love a good math puzzle. For some reason the chat hasn't been able to load for me for the past two days. My answer to your question, though, is yes.